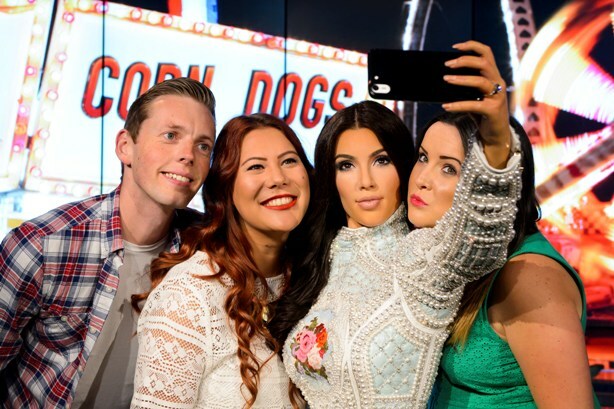 Merlin Entertainments has hired Red Consultancy to handle PR for the London Eye and Stripe Communications as its PR firm for Madame Tussauds London, following an overhaul of its agency structure. Both agencies have been hired for a year on retained briefs, with optional renewal, following an "unconventional" pitch process, said Chloe Couchman, head of PR for London attractions at Merlin Entertainments. "Our process to find these agencies was quite unconventional and creative - and saw us move away from the normal creds presentations and instead centred on a face-to-face event which meant we could really focus on the collaboration between people, creative ideas and chemistry." As part of the pitch process, Merlin met with more than 20 PR agencies, calling in a further four - Hope&Glory, Pretty Green, Contented Brothers and Clarion - to sit on its London creative PR roster, alongside Stripe and Red. Although one agency head - whose pitch was unsuccessful - told PRWeek he considered the process "silly", it got the thumbs up from others. Gavin Lewis, partner at Hope&Glory, said: "Agency speed dating is certainly not a run-of-the-mill process... It wouldn't be for everyone. But for Merlin it made perfect sense." Echoing Lewis' sentiments, Isobel Coney, managing director for consumer at Red Consultancy, said: "The pitch process gave us a flavour for the business and was a great way to get to know the team." The four agencies will provide campaign-led support for DreamWorks Tours Shrek's Adventure London, Sea Life London Aquarium and the London Dungeon, Merlin said. In July, Merlin Entertainments announced it would be overhauling its PR agency structure - meaning it would cease working with Exposure, which had handled PR for the London Eye since 2012, and Freerange Communications, which looked after Madame Tussauds before it decided to close in the autumn. Exposure's retains its digital remit across Sea Life London Aquarium, Alton Towers and Thorpe Park, Merlin said. Merlin hired a new group corporate affairs chief in March.